These sites contain math games, logic puzzles, magic squares and math videos for students who need a fun way to practice math facts. In this website we can explore the universe through Hubble’s eye and see the most spectacular images of the cosmos. A fractal is "a rough or fragmented geometric shape that can be split into parts, each of which is (at least approximately) a reduced-size copy of the whole, a property called self-similarity. 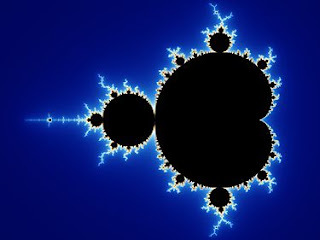 A collection of fractals in this nice site. A short video about the history of Electricity, is a good resource for teachers besides is useful too for students. You have here an interesting video about a big structure: "Oresund´ bridge"
If you want to see more you can visit "YouTube" and looking for "Megastructures". and I love the way I fall into them. the courage to grab and hold yours. Wage freeze - Attempt by a government to restrain wage-push inflation by holding wages at their existing level by force of law. Wage-price spiral - Alternative term for inflationary spiral. Self-sustaining upwardtrend in general price levels fueled by the reinforcing feedback of a vicious circle. Wage price spiral is a typical example of an inflationary spiral: high cost of living prompts demands for higher wages which push production costs up forcing firms to increases prices, which in turntrigger calls for fresh wage increases ... and so on. Such situations continue until radical measures (such as incomes policy) are instituted to break the cycle, otherwise the currency is rendered almost worthless as a medium of exchange (as it happened in Germany in the 1920s, in Brazil in the 1980s, and in Argentina in the 1990s) and has to be replaced with new monetary units (currency)). Working life - Alternative term for pot life (Period for which two mutually reactive chemicals remain usable when mixed). Writeoff - Removal of the book value of a destroyed or obsoleteasset, or an uncollectiblesum, from the account books by reducing it to zero. The amount written off is charged against the earnings as an expense or loss. Write down - Downward revision of the book value of an asset to reflect its current market value that has dropped below the book value. The amount by which the book value is reduced is charged against the earnings as an expense or loss. Work sharing - Method used for reducing operating costs without layingoffemployees. In work sharing schemes, workinghours and wages are cutacross the board until the organization's finances return to normal levels. Work to rule - Industrial action where, in contrast to a strike, workers do not withdraw their labor. Instead, they stayon their jobs but drastically slowdown the operations by punctilious adherence to a narrow interpretation of work rules included in the collective bargaining agreement. Welfare - Availability of resources and presence of conditions required for reasonably comfortable, healthy, and secure living. Welfare economics - Cost-benefit analysis of the allocation of resources, economic activity, and distribution of the resulting output on a society'swelfare. See also welfare state. Welfare state- Political system based on the premise that the government (and not the individual, corporations, or the local community) has the responsibility for the well being of its citizens, by ensuring that a minimum standard of living is within everyone's reach. This commitment is translated into provision of universal and freeeducation, universal medical care, insurance against disability, sickness, and unemployment, family allowances for income supplement, and old age pensions. Wealht - Total of all assets of an economicunit that generate current income or have the potential to generate future income. It includes natural resources and human capital but generally excludesmoney and securities because therepresent only claims to wealth. Wholesaler - Person or firm that buys large quantity of goods from various producers or vendors, warehouses them, and resells to retailers. Wholesalers who carry only non-competing goods or lines are called distributors. Wholesale price - The cost of a goodsold by a wholesaler. The wholesaler will usually charge a price somewhat higher than he or she paid to the producer, and the retailer who purchases the goods from the wholesaler will increase the price again when they sell the good in their store. Wage - Monetaryremuneration computed on hourly, daily, weekly, or piece work basis. A fixed weekly or monthly wage is usually called a salary. Yield differential - Differences in the yields of different securities, commonly used to compare bonds with different maturities and credit ratings. As a general rule, bonds with longer maturities and lower credit ratings generate larger yields, and bonds with shorter maturities and lower high credit ratings generate smaller yields. Yield - Annual income earned from an investment, expressed usually as a percentage of the money invested.